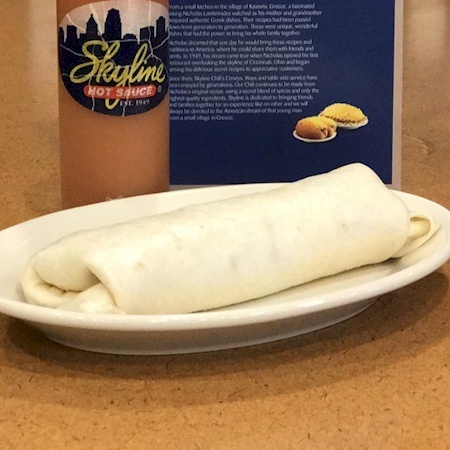 Skyline is a fast-casual restaurant chain serving diner-style dishes garnished with their signature chili and cheddar cheese including hot dogs, spaghetti and potatoes. Skyline's classic cheese coney is a specially-made hot dog in a steamed bun, with mustard, covered with our original secret-recipe chili, diced onions and a mound of shredded cheddar cheese. Our signature dish...steaming spaghetti, covered with our original, secret-recipe chili and topped with a mound of shredded cheddar cheese. 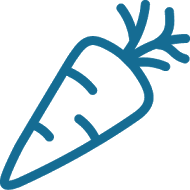 Choose small, regular or large. Choose from Pepsi, Diet Pepsi, Dr. Pepper, Mountain Dew, Sierra Mist, Unsweetened Iced Tea or Sweet Iced Tea. 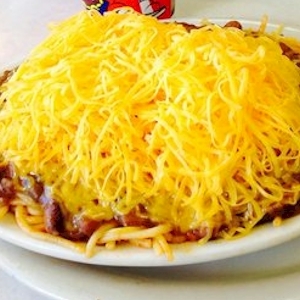 Steaming spaghetti, covered with our original, secret-recipe chili, topped with a mound of shredded cheddar cheese your choice of diced onions or red beans. Choose small, regular or large. Steaming spaghetti, covered with our original, secret-recipe chili, topped with a mound of shredded cheddar cheese, diced onions and re beans. Choose small, regular or large. Romaine lettuce, cucumbers, red onions, grape tomatoes, seasoned chickpeas, Kalamata olives sliced pepperoncinis, feta cheese and Skyline’s original-recipe Greek dressing. Add chicken for an additional charge. 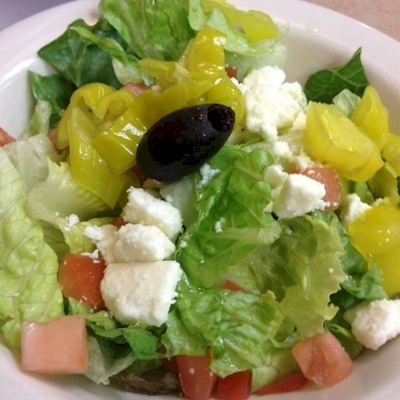 Romaine lettuce, cucumbers, red onions, grape tomatoes, seasoned chickpeas, Kalamata olives, sliced pepperoncinis, feta cheese and Skyline’s original-recipe Greek dressing. Add chicken for an additional charge. Spicy Buffalo sauce with diced chicken breast, romaine lettuce, tomatoes, shredded cheddar cheese and your choice of dressing. 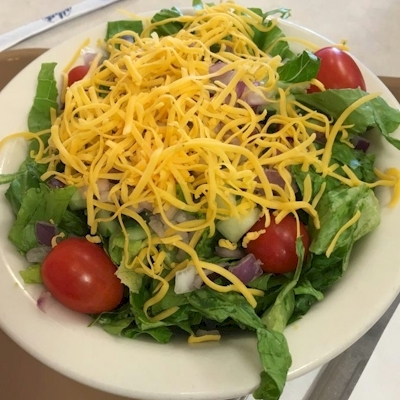 Romaine lettuce, cucumbers, red onions, grape tomatoes, croutons, shredded cheddar cheese, and your choice of dressing. Add chicken for an additional charge. Skyline Chili Bean Mix in a soft tortilla, topped with our secret-recipe chili, diced tomatoes, lettuce, shredded cheddar cheese and sour cream . Skyline Chili and shredded cheddar cheese wrapped in a tortilla. Add sour cream for an additional charge. Skyline Black Beans and Rice in a tortilla, topped with more Black Beans and Rice, tomatoes, lettuce, shredded cheddar cheese and sour cream. Spaghetti topped with black beans and rice and cheddar cheese. Choose small, regular or large. Steaming spaghetti covered with skyline's vegetarian black beans and rice and topped with a mound of shredded cheddar cheese. Choose small, regular or large. A steamed bun with our original secret-recipe chili, diced onions and mustard topped with shredded cheddar cheese.